Why You Should Wear a Lab Coat | Ace Uniform Services, Inc. High-quality, specialized lab coats are breathable and flexible. Doctors, nurses, pharmacists, scientists, and other professionals that wear lab coats benefit from various advantages. It’s more than just a part of the uniform, but it’s also a symbol of expertise and something that you earned from years of education and hard work. Check out the following reasons why you should wear a lab coat. Although your first thought is probably that wearing a coat would decrease your comfort, a high-quality lab coat will make you more comfortable while you perform your duties. High-quality, specialized lab coats are breathable and flexible. They are usually made with fabrics that repel stains from various types of fluid while wicking away sweat and moisture. When you walk through your office building, wearing a lab coat is one of the things that helps differentiate you from others. You’ll appear more as the professional that you are — someone knowledgeable that can be trusted and relied on. 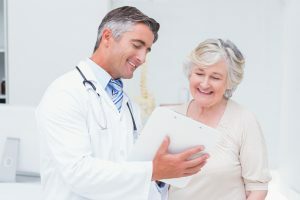 The results of a study showed that the lab coat and other accessories in your uniform make an impact on patients and other clients by giving them a positive perception of your abilities. There is usually no difference between the style of lab coat that women and men wear. This takes away any perception that there are differences between the quality of service and expertise you can receive from a professional based on gender or other characteristics. Lab coats help you maintain a neat and professional appearance throughout the day. It’s something that you can easily take off during lunch or when running errands throughout the day. It also comes with the added benefit of saving you some time while getting ready in the morning. The fabrics are usually easily cleaned and maintained so that your coat will look clean, professional, and neat each day that you’re in the office. If you store a pen in your pocket and happen to get ink on the fabric, it will be easily cleaned and restored so that you’ll always look fresh and neat. This entry was posted on Friday, May 18th, 2018	at 2:09 pm	. You can follow any responses to this entry through the RSS 2.0	feed. Both comments and pings are currently closed.